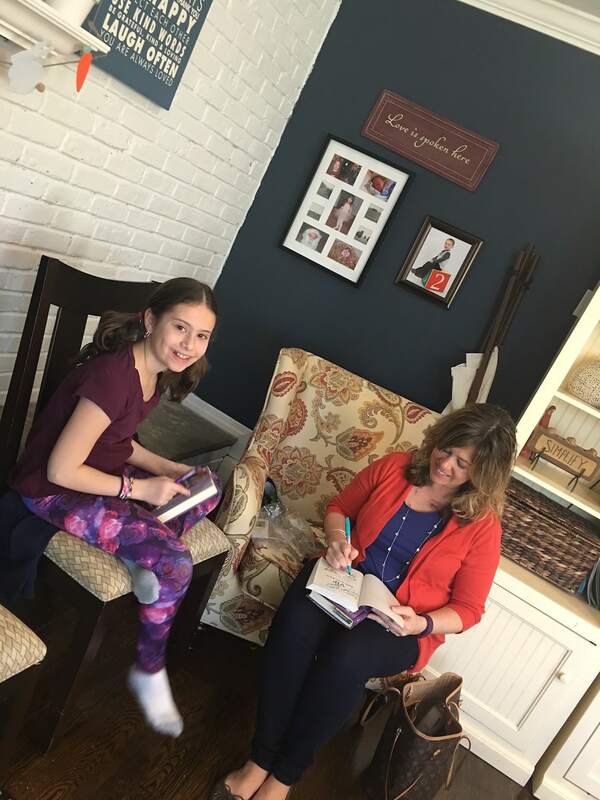 Do you have a tween daughter who loves to read and wants to be part of a book club? Why not start one on your own? Grab a group of her friends, pick a date that works for everyone, and sit back and watch the group have a blast talking about their favorite written adventures. 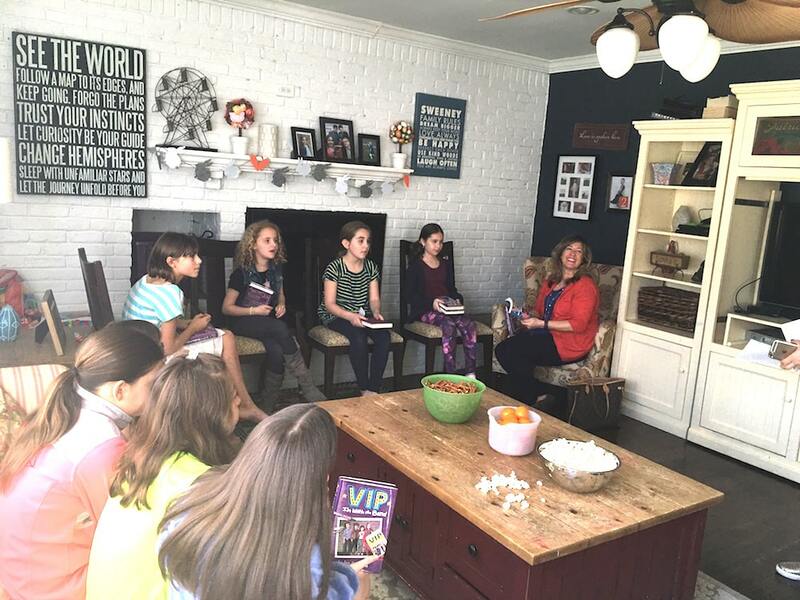 I had the HONOR of hosting my daughter’s first book club meeting with her besties and even had the author stop by for a little chat! WHAT?! So amazing!!! What book did we choose? 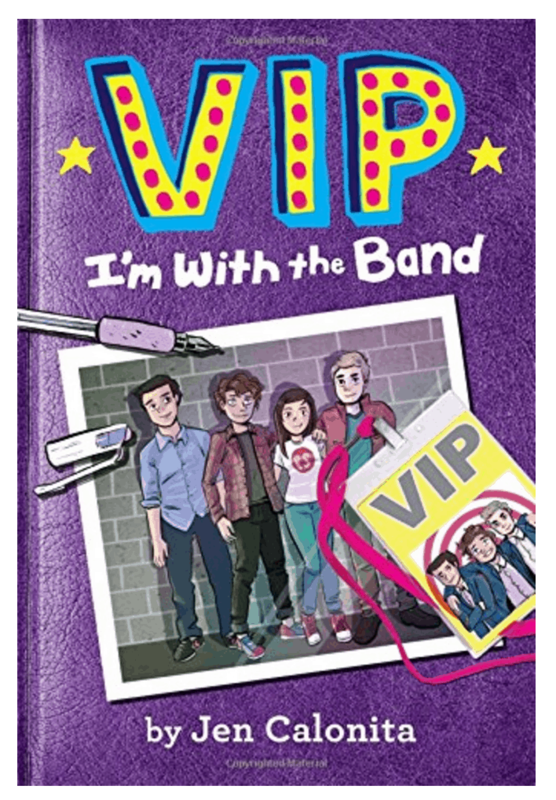 VIP I’m With The Band by Jen Calonita. The girls truly loved the story and had such a great time talking about all of their favorite characters and adventures. Each one of them related to a particular lead in the book. In fact, it was fun to watch them fight over who was more like Mac or who liked Zander more. For tween patrons who idolize boy bands and are looking for some G-rated romance, this fun confection narrated by 12-year-old Mackenzie Lowell is just the ticket. Mac, an artist and budding graphic novelist spends much of her free time with her BFFs, drooling over the newest up-and-coming boy band Perfect Storm. The girls are bummed after spending the afternoon trying to score tickets to Perfect Storm’s concert by calling in to a radio station. Mac’s publicist mom saves the day by scoring VIP tickets. Mom’s coolness factor skyrockets when she’s hired to be the band’s publicist, requiring her to travel with the band for a month—and Mac’s going with her! This is Mac’s chance to catch the eye of lead singer Zander, her crush. Perhaps he’ll take her to the spring dance? But there are ups and downs on the tour including an accident involving Green Dragon soda, pranks, a rich mean girl, Zander’s fickleness, and Mac’s blossoming friendship with Kyle. There’s a lot to like in this series starter: Mac’s voice, snippets of her graphic novel, the authenticity, the humor, and the pacing. VERDICT The diary format and many illustrations will entice fans of Rachel Renée Russell’s “Dork Diaries” (S. & S.) but should be appealing to a wide audience and will have tween readers eager for the next installment. 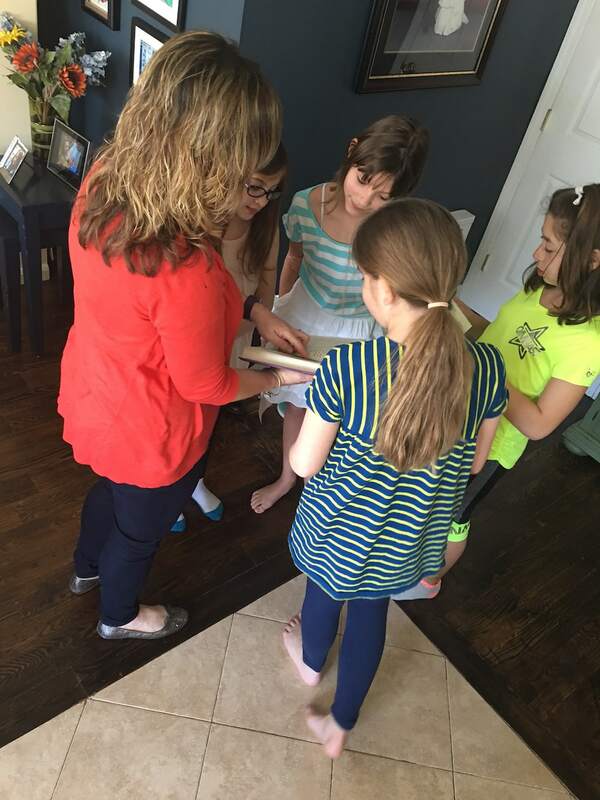 During your book club, have the children come with questions that they’d like to discuss. Consider having an arts and crafts project that relates to the story or whip up a snack that was popular with the lead. Get them involved before the big day. 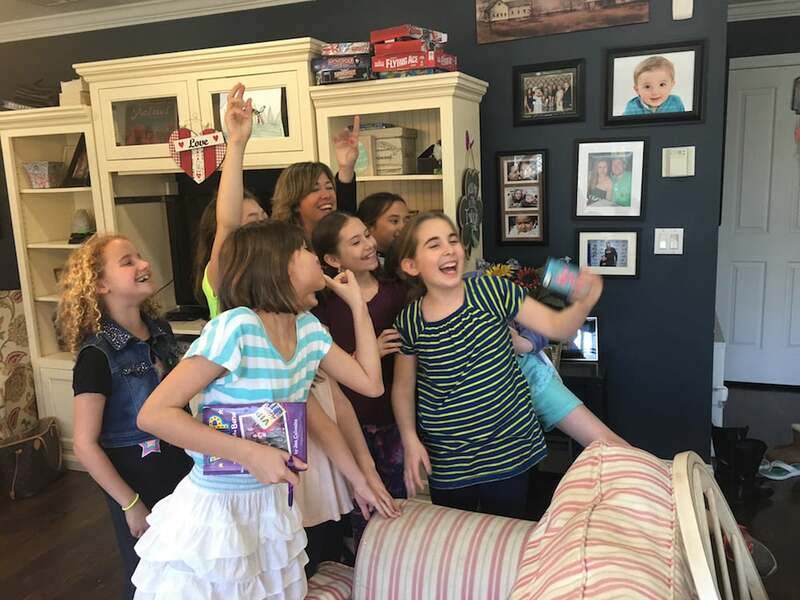 Make sure your daughter asks her friends during school what they want to do during their meeting. It’s THEIR time – let them own it! Jen was so kind to sign everyone’s book and personally autograph it which was such a bonus. She is a dear friend and I can’t thank her enough for popping by and spending time with the girls. No matter what question they asked, Jen gave them a full explaination. 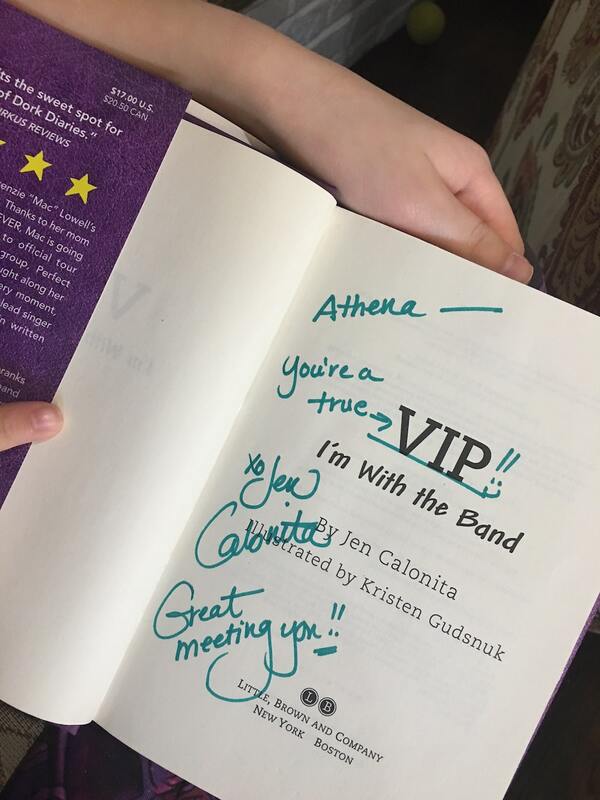 If you want to see what other books Jen Calonita has available to date, click here. SO many wonderful options for your future tween and YA book clubs. And don’t forget — leave enough time for the kids to let off some steam, run around and have some fun. 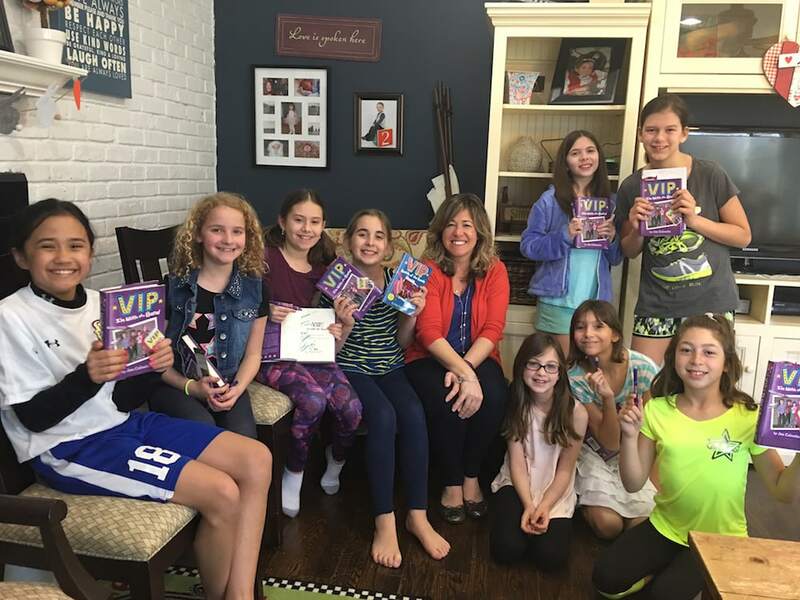 Have you ever hosted a tween book club before? What book did your children read? I wish my son would get into reading a little bit more. I would love to have a little book club for him with his friends. Looks like your daughter had a great time eating the author. Oh my goodness, this is such a fun idea! I just love that you’re encouraging them to read in a society and generation that seems to be more into TV, plus they get to talk about it with their friends. SO FUN! 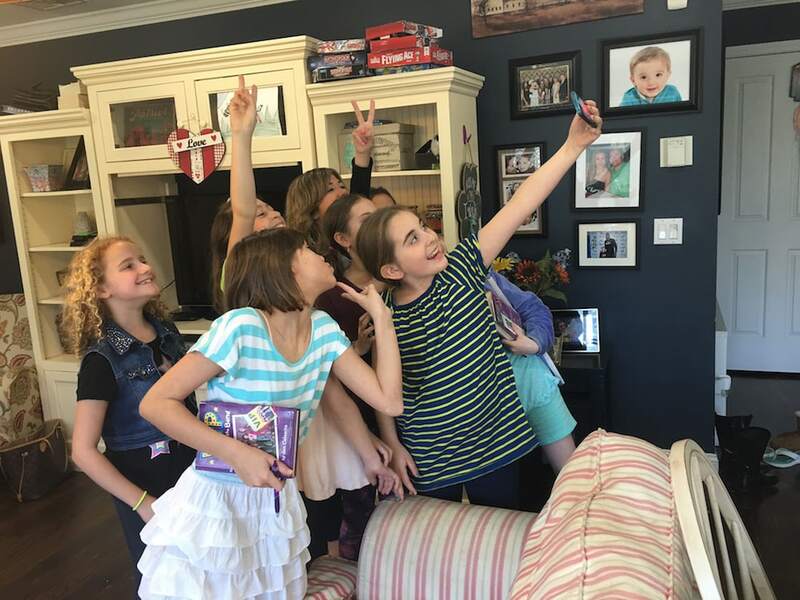 A tween book club is a great idea. My Daughter loved t read. I will have to tell her about this. This is such a good idea. I like seeing those kids. They are so cute! 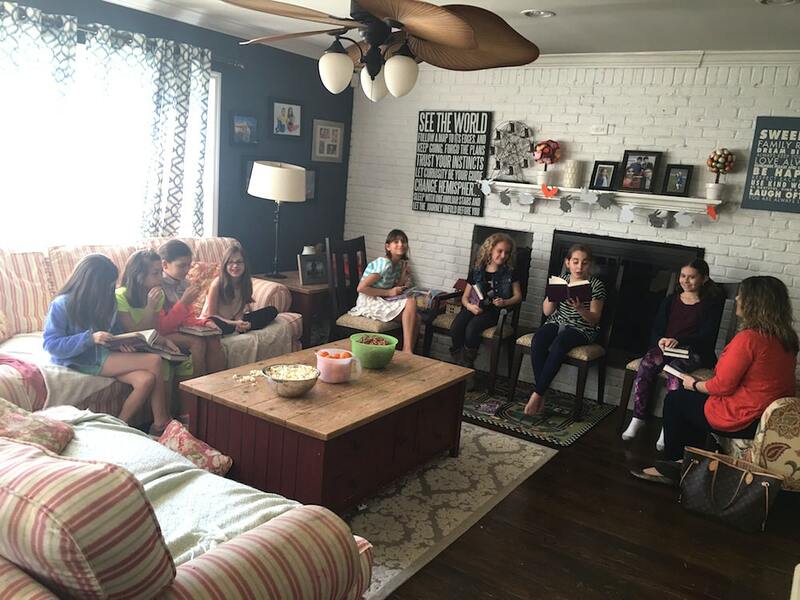 I’ve never hosted a tween book club before? That looks like a lot of fun. Love those notes on the book. So sweet!